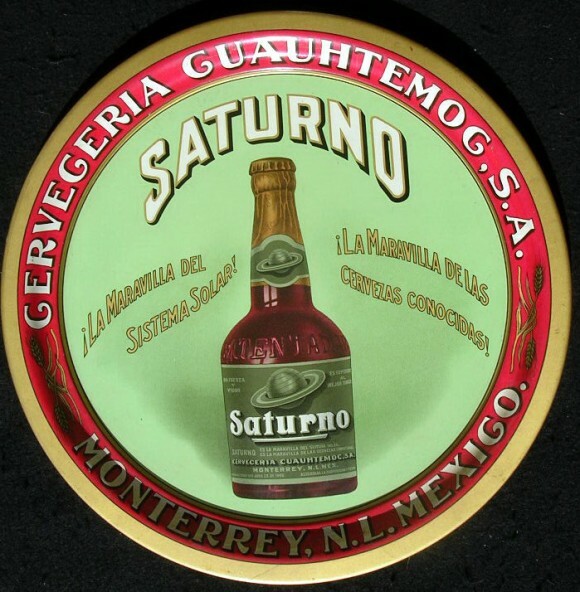 Serving Tray for Saturno Cerveza from Monterrey, N.L. Mexico showing in the center a bottle of the company’s product. The planet Saturn is depicted on the bottle.